protect paint on front end & improve exterior appearence. Protect the entire steering wheel & keep cool to touch. 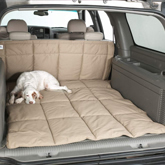 Provide comfort for dogs & protect cargo floor area. 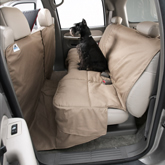 Provide comfort for dogs & protect the car's rear seat. entire 2nd seat row area. 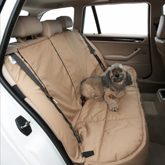 Protects interior door panels from paw marks & dirt. area & dogs from injuries. 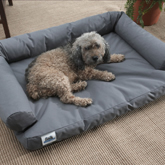 Provide a comfortable place anywhere for dogs to rest. 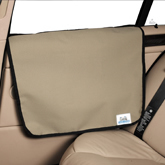 Truck Bags are tough, durable, waterproof & weatherproof to stow/protect cargo. For trucks only. For cars with no front license plate. Remove & reattach quickly. Avoid getting tickets! Protects front end on C7 Corvettes from debris on the road. ORIGINAL Auto Dolly is easy & effortless to move vehicles around in auto shops! 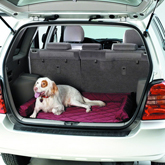 New & improved Outdoor Capsule protects cars stored outdoors.